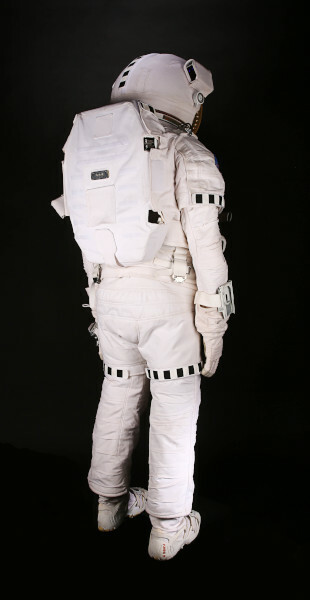 This EVA spacesuit was used during the filming of Ridley Scott's movie, 'The Martian'. 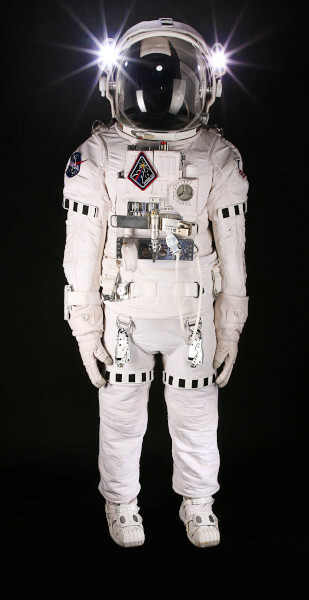 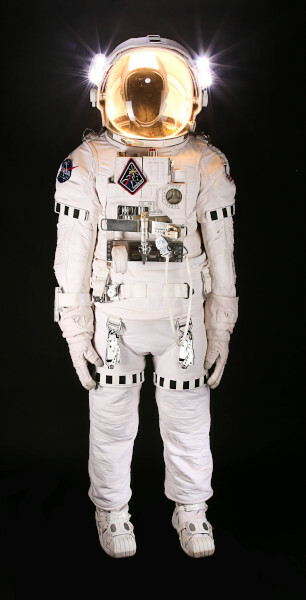 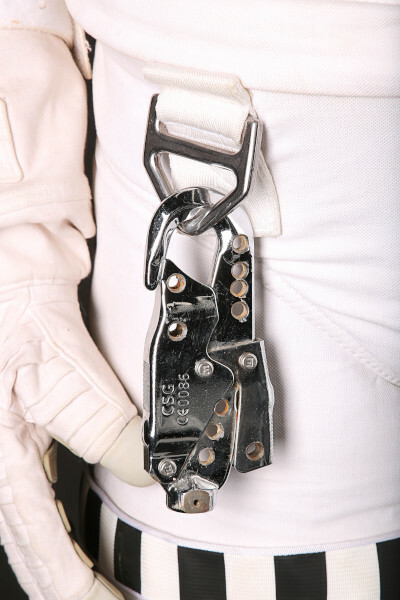 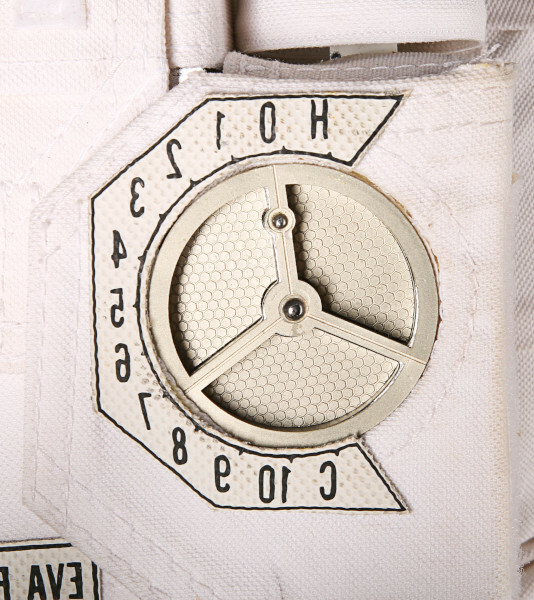 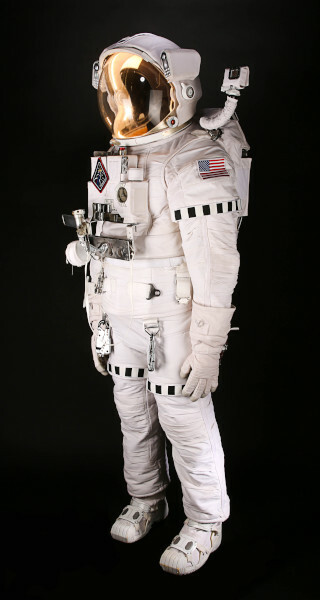 Worn by Matt Damon and various stunt performers, it was used with a rigging system to simulate floating in space. 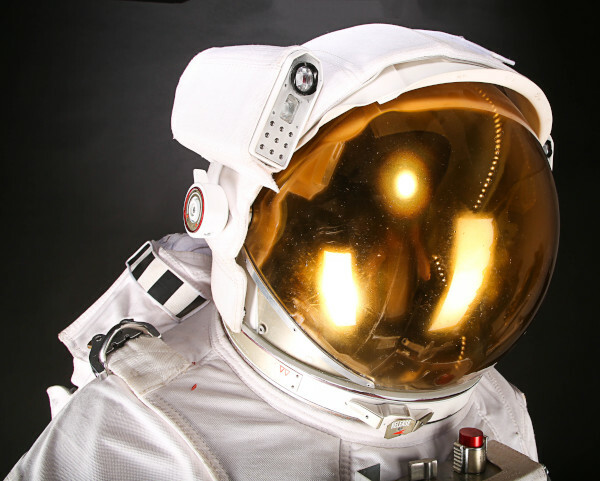 Based on the book by Andy Weir, 'The Martian' tells the story of astronaut Mark Watney (Matt Damon), who is stranded on the surface of Mars. 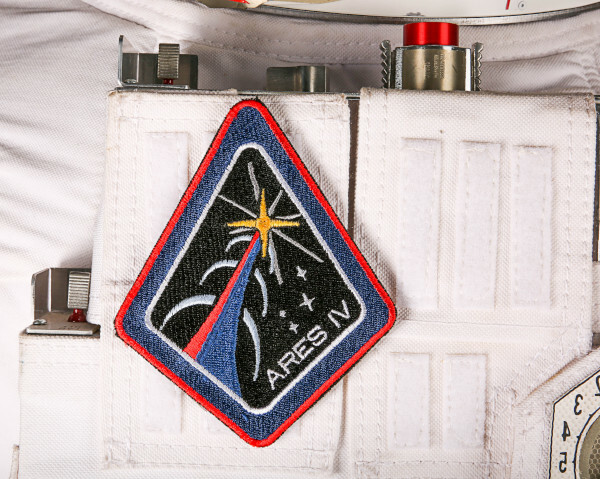 Set in 2035, the story depicts a near future where NASA is sending crews to Mars on the Ares mission series. 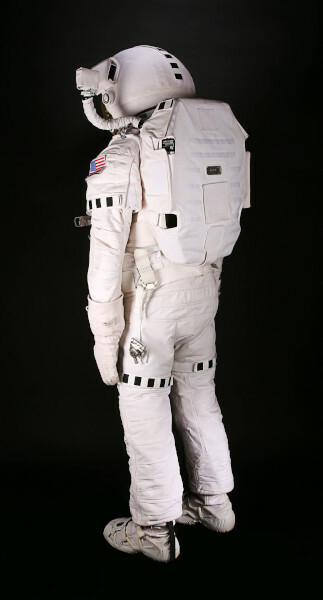 The costumes used in the film were designed to be accurate reflections of the sort of spacesuits that might be used in a near-future Mars mission. 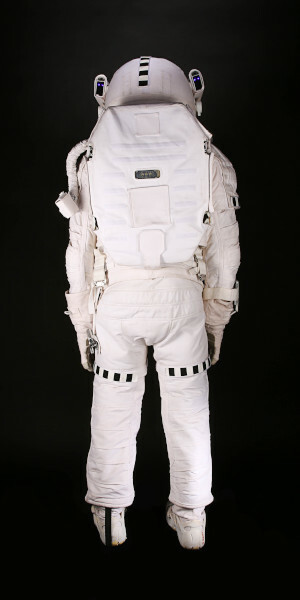 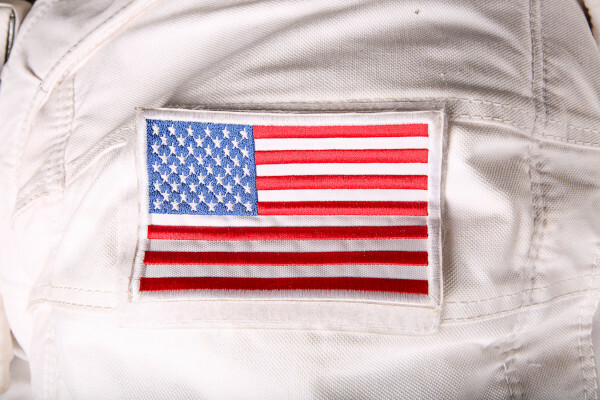 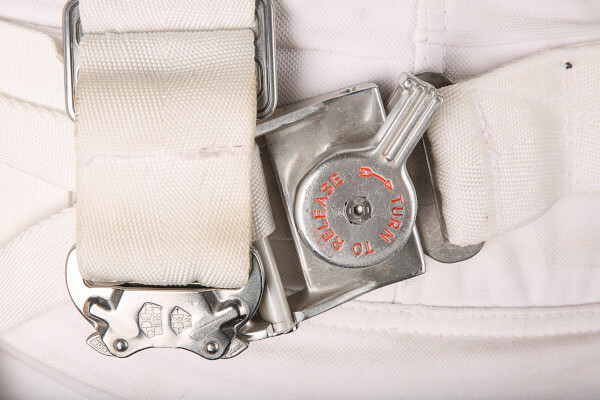 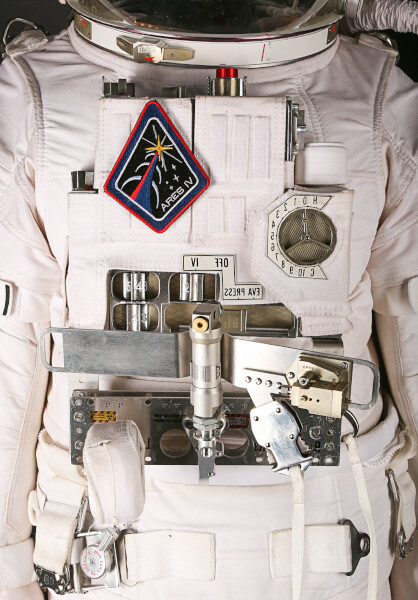 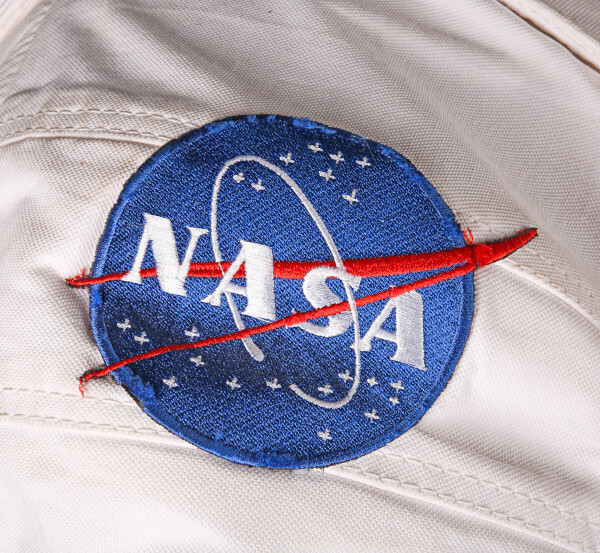 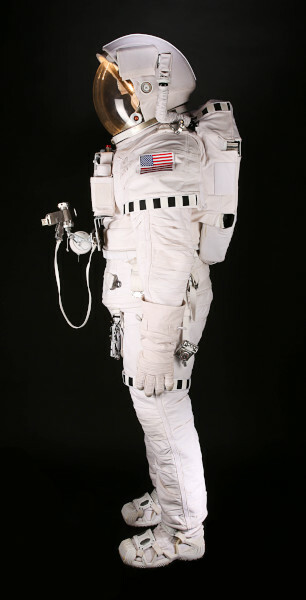 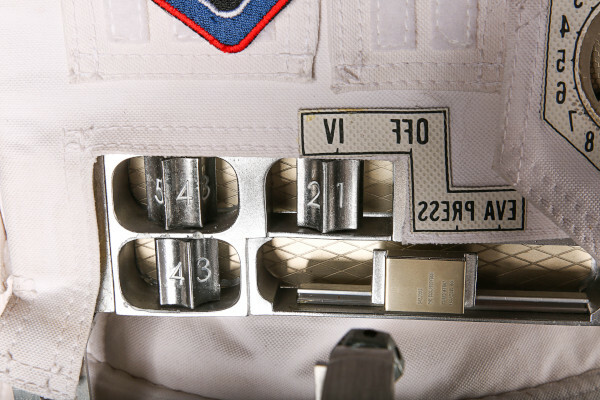 Academy Award winning costume designer Janty Yates worked with NASA and Scott to ensure that this Extra-Vehicular Activity (EVA) spacesuit worked for the film, but also imagined the future of NASA spacesuit design. 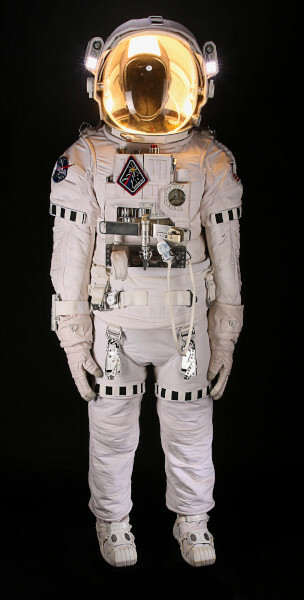 Based loosely on the EMU spacesuits that NASA have used on the International Space Station, the suit is a less bulky, more streamlined design. 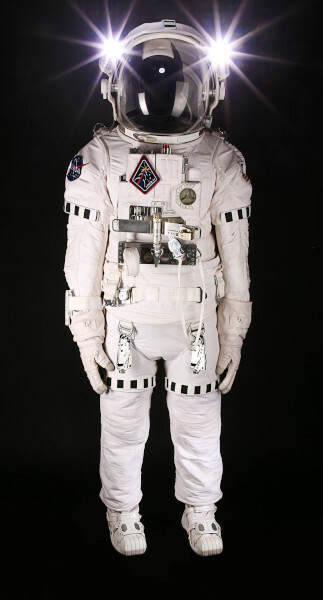 However, whilst directing the film, Scott still referred to the suit as 'Mr Dough Boy', as it was far bulkier than the surface spacesuits used in the film. 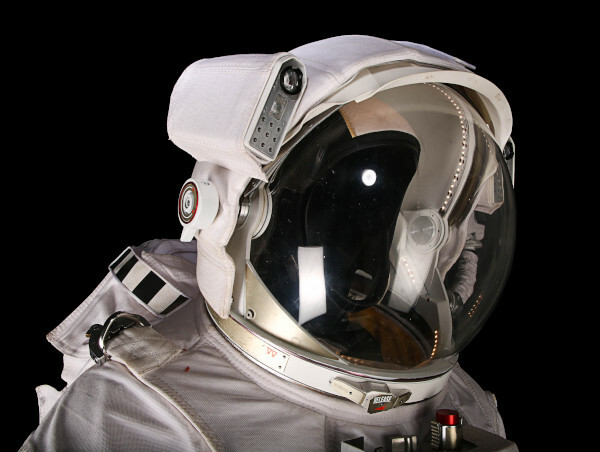 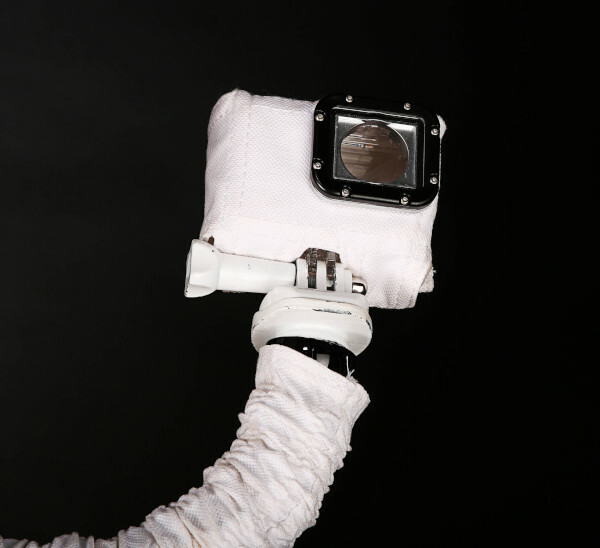 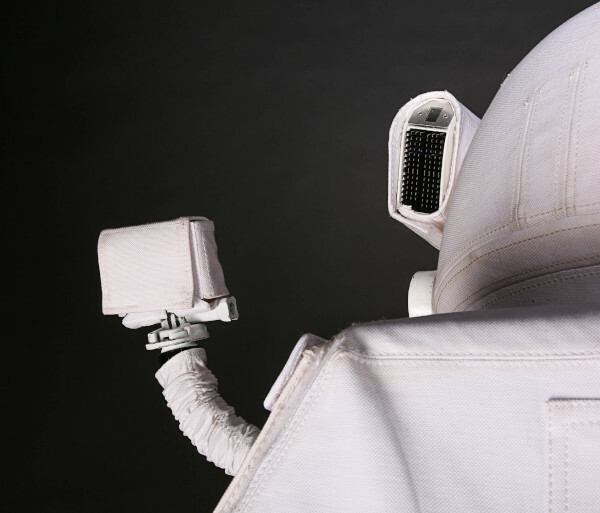 After significant development of the design, London based company FBFX were used to manufacture the structure of the spacesuit.